Bill Whittle joins Dave Sussman on a beautiful Malibu hillside where he waxes poetic about gun rights and the Left’s attack on 2A, California’s upcoming catastrophe and how it can be saved, and Bill announces a new $180 million project to bring video games to youngsters teaching them conservative values. This is not your typical Whiskey Politics episode length, but if you were sitting at a Malibu mansion above the ocean drinking whiskey with Bill, you may have gone long too. Sharyl Attkisson is one of the few journalists respected on both sides of the political divide. In 2014 Sharyl resigned from CBS after 21 years of investigative reporting, and now can be seen at her program “Full Measure.” Sharyl chats with Dave Sussman about media bias, the dark forces behind “fake news,” social media’s influence, and how we can stay informed while acknowledging the inherent bias in much of the media. 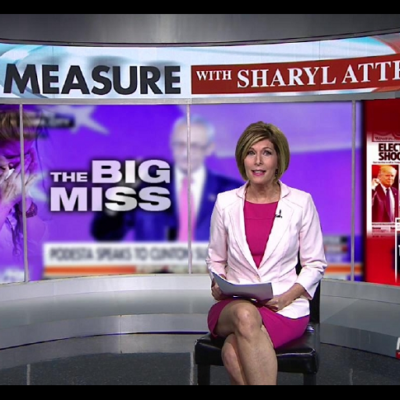 Sharyl can be followed on Twitter at @SharylAttkisson and found at http://sharylattkisson.com/ and http://www.fullmeasure.news. Sharyl Attkisson is an Emmy award-winning investigative journalist, host of Sinclair’s Sunday morning news program “Full Measure,” and author of the New York Times bestsellers: “The Smear” and “Stonewalled.” She was a correspondent for CBS News from 1993-2014. Before joining CBS, Attkisson was an anchor and correspondent for CNN (1990-1993). From 1996-2001, in addition to her CBS News duties, Attkisson hosted a half-hour weekly medical news magazine on PBS entitled “HealthWeek.” Prior to working on the national news, Attkisson was a reporter, anchor and producer at WTVT Tampa (1986-1990), WBNS Columbus, Ohio (1985-1986) and WTVX Ft. Pierce (1982-1985). Attkisson was one of the first journalists to fly on a military combat mission: a B-52 sortie in Kosovo. She also flew on an F-15 fighter jet Combat Air Patrol (CAP) flight. Brett King joins Dave Sussman to discuss Artificial Intelligence, Singularity, and his book Augmented: Life In The Smart Lane which covers the incredible leaps technology has taken and the profound impact it will have on all our lives, from medical and healthcare advances to the application of computer technology to solve many of the world’s problems. Brett King is a Futurist, an international bestselling author, a renowned commentator and globally respected speaker on the future of business. He has spoken in over 40 countries, to half a million people, on how technology is disrupting business, changing behavior and influencing society. He has spoken at TED conferences, given opening keynotes for TED, Wired, Singularity University’s Exponential Finance, The Economist and many more. He advised the National Economic Council on the Future of Banking and been invited to meet with regulators from the United States, China, the European Union and the World Bank. He has been featured in countless television interviews and publications throughout the world. 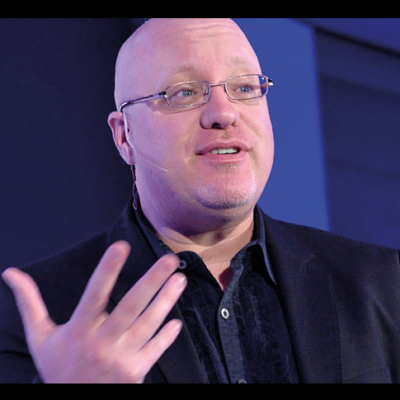 Find Brett at AugmentedBook.com and BrettKing.com. 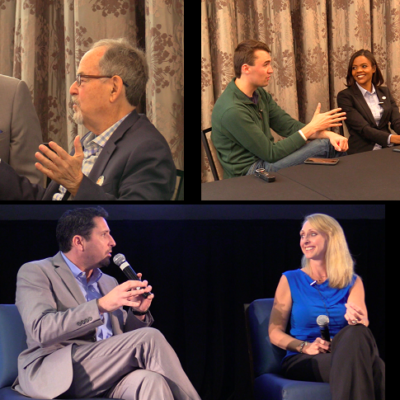 Live from the Saving California event we interview David Horowitz, Charlie Kirk and Candace Owens, concluding with Michelle Balconi. This event for activists was held on March 17th, 2018 at the Burbank Marriott Convention Center, Los Angeles. We sit down with David Horowitz, Charlie Kirk, and Candace Owens in a private breakout room and Dave interviewed Michelle on stage in front of a large hall of activists. Grover Norquist joins Dave Sussman to discuss tariffs and taxes, and announces yuuuge breaking news regarding a new Trump tax plan (recorded Monday, March 12th). Grover Norquist is the President for Americans for Tax Reform, a taxpayer advocacy group he founded in 1985 at President Reagan’s request. He has authored 4 books, a board member at the several organizations including the NRA, the American Conservative Union, has an MBA and BA in Economics from Harvard, and is a frequent guest on practically all network and cable news media outlets. Find Grover at ATR.org and Twitter. Dr. Sebastian Gorka served as Deputy Assistant to President Donald Trump, is currently a Fox News National Strategist, and author of the best selling book Defeating Jihad. Dr. Gorka discusses the state of the media, the economic impact and strategy of the President Trump tariffs and the potential trade wars, and the surprising announcement North Korea is willing to denuclearize. We finish off with his suggestions as to what both the White House and the GOP need to do to retain Congress in the 2018 midterms. Sebastian can be followed on Twitter at https://twitter.com/SebGorka. Find Defeating Jihad: The Winnable War on Amazon. We also speak with Cabot Phillips, who is the Media Director for Campus Reform, about the attack on free speech at our universities, where anyone with an opposing idea is insulted and intimidated with violence. You’ve likely seen Cabot on Fox News, Fox Business, OAN, and other networks. Prior to joining Campus Reform he spent time working on numerous campaigns—including as Digital Grassroots Director for Marco Rubio’s Presidential bid. Phillips is also a YouTube Partner, creating and starring in numerous videos which have amassed over 100 million views. In 2016, Phillips was named to Red Alert Politics “30 Under 30” list of the nation’s most influential young conservatives. Follow Cabot on Twitter at @cabot_phillips. 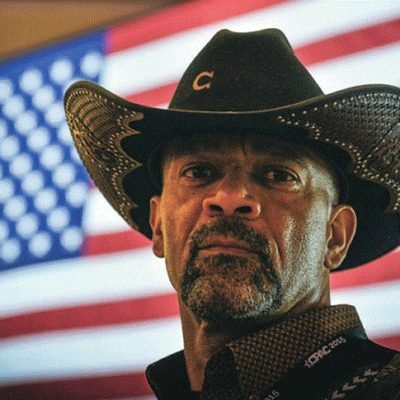 Sheriff David Clarke, Senior Advisor to the America First Action PAC, joins Dave at Whiskey Politics to discuss gun rights, civil rights, inner-city violence, MS-13, immigration, the “shameful” media, and his efforts in supporting the Trump Administration and Congress through 2018 and 2020. Sheriff Clarke also directly answers the hit pieces by the Left wing media on his tenure overseeing the Milwaukee Jail. Currently, Sheriff Clarke serves as President of DAC Enterprises LLC and Senior Advisor and Spokesman at America First Action PAC/Policies. He is the former Sheriff of Milwaukee County, an NRA Benevolent Member, and Distinguished Chair of Law and Culture for the Capital Research Center. This isn’t some cologne sampler or cheesy mug, Man Crates offers curated gift collections for EVERY type of guy: from the sports fanatic, to the home chef, to the outdoorsman. 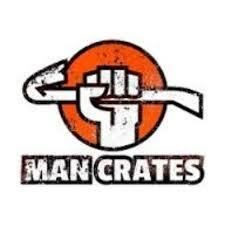 Get 5% off RIGHT NOW at ManCrates.com/WHISKEY. Governor Gary Johnson (L), the 2012 and 2016 Presidential Candidate joins Dave to discuss many topics including how the Hillary Clinton campaign was reported to have spent $50 Million to keep him off ballots, the war on drugs, why he once said the Republican party is “dead” under Trump and his perspective now on the Trump Administration. Dave pushes back on his more isolationist philosophy and how he would handle the current situation with North Korea. We finish up with his thoughts on the proof that Democrats colluded with Russia and how Russian trolls impacted his campaign. While Johnson is not planning on another run, his current efforts are to end the two-party duopoly and he can be found at https://www.ouramericainitiative.com/. Dave also has a discussion with the CA Secretary of State candidate Mark Meuser who makes some startling claims about voter fraud; Secretaries of State around the country rebuffed the Trump Voter Integrity efforts by refusing to cleanup voter rolls, which in some cases show an almost 150% registration(!). In addition, Mark points to the overwhelming number of military ballots being disenfranchised and not counted. Check out Mark’s details at https://www.markmeuser.com/. 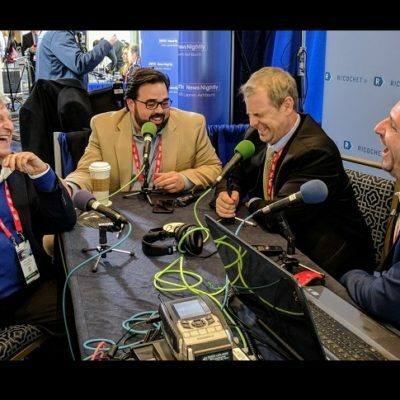 Take a seat at the Whiskey Politics broadcast booth at CPAC 2018 with Kurt Schlichter, Tony Katz, Evan Sayet, and Dave Sussman as they crack wise on the unhinged Left. Follow Kurt at https://twitter.com/KurtSchlichter, Tony at https://twitter.com/tonykatz and Evan at https://twitter.com/evansayet. Live From CPAC 2018 at National Harbor, MD. It’s a Two-Fer! First we have a short discussion with the American Conservative Union’s Chairman, Matt Schlapp, who oversees the annual conservative grassroots conference CPAC, the Conservative Political Action Conference. You see Matt everywhere fighting the good fight on cable news. We also welcome back to Whiskey Politics Ned Ryun, the Founder and CEO of American Majority, Inc., an organization devoted to identifying and training grassroots candidates for state and local elections. Ned was also a Presidential Writer for George W. Bush. Ned is also a frequent guest on every news channel including CNN, Fox News, and MSNBC. Both Matt and Ned discuss the fight to keep Congress in 2018 and how the Right needs to attract new voters and energize Conservative ones. Find Imprimis Magazine at imprimis.hillsdale.edu . Denise C. McAllister is a cultural and political commentator, a senior contributor at The Federalist and her work can be found at several outlets, including PJ Media, Real Clear Politics, Hot Air, and Ricochet. She has been a guest on Fox News, CNN, and Newsmax. Denise joins Dave at Whiskey Politics for an in-depth discussion on what society must do facing yet another tragic school shooting. Other subjects: GOP/Never Trump rift and conservative complacency, Adam Schiff’s massive fundraising machine, #MeToo’s secret blacklists impacting innocent men’s careers (and how men can protect themselves). Denise and Dave finish off discussing the genesis of television news punditry with William F. Buckley v. Gore Vidal. It’s a fascinating and varied discussion and we hope you enjoy it. Find Imprimis Magazine at imprimis.hillsdale.edu. Peabody Award-winning “world famous actor” Nick Searcy joins Dave at Whiskey Politics to discuss the current awards season as he is currently in two Oscar-nominated films, Three Billboards Outside Ebbing, Missouri and The Shape of Water. Nick just filled in for Rush Limbaugh, hosting his show listened to by millions. We discuss the business of leftist Hollywood, why Republicans can learn from Trump how to to fight (and why Trump is Hulk Hogan), and we get into the ugly relativism of the #MeToo movement. We finish up with Nick’s predictions of how Hollywood can adapt to a non-theatre going experience. Use this link for the Saving California Event on March 17th. Victor Davis Hanson discusses the damaging disclosure about Obama keeping tabs on the FBI Hillary Clinton email investigation, State Department unmasking, why Hillary’s and Obama’s hubris may be their own downfall and how this can very well be a Watergate or Iran-Contra type scandal. We go into the 2018 election and what the GOP needs to keep Congress, how English speaking immigrants on the farm voted for Trump and the DACA/illegal immigration debate. What did Victor have to say about ‘elites’ including George Will, Bret Stephens, and Bill Kristol? We conclude the hour with his thoughts on how to decentralize America’s and world governing bodies and bring them closer to the people they supposedly represent. ‘VDH’ is an American military historian, columnist, a former classics professor, and scholar of ancient warfare. He was a professor of classics at California State University, Fresno, and is currently a Senior Fellow at Stanford University’s Hoover Institution as well as a visiting professor at Hillsdale College. Hanson was awarded the National Humanities Medal in 2007 by President George W. Bush. Unlike most everyone he writes about, Victor is also a farmer in central California. He is a widely read author of dozens of books, a frequent guest on multiple news programs, you can find his columns everywhere, including the National Review, Townhall, American Greatness. His most recent book is The Second World Wars – How the First Global Conflict was Fought and Won. James O’Keefe, President of Project Veritas, returns to Whiskey Politics to discuss muckraking in the age of mainstream media’s activist journalism. James shares his unlikely inspiration from Orwell, Chomsky, and even Alinksy. His new book American Pravda, My Fight For Truth In The Era Of Fake News is now available and highly recommended as it combines the thrilling escapades of a spy novel with the unvarnished truth of the state of corrupt, biased media. We cover CNN, Twitter, how journalists are abdicating the FBI Memo story for politics, and some incredible stories you probably didn’t hear about in the media, as well as who and what is the next giant target for James and his dedicated team. 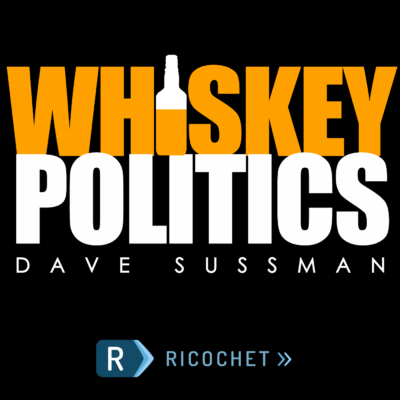 Follow Whiskey Politics on Ricochet at WhiskeyPolitics.net, and our Facebook page, and follow Dave on Twitter and subscribe to iTunes where your 5-star rating will be greatly appreciated! When you pierce the echo chambers of Miley Cyrus, Nick Cage, Johnny Depp, Russell Brand, Jimmy Kimmel and their like-minded thinkers, you generally become referred to as a “provocateur”, and that’s the kindest thing these people call Sabo. On this episode of Whiskey Politics, we have an open and transparent discussion with conservative street ‘guerilla’ artist Sabo from his home in Los Angeles. Fresh off the HBO Vice News piece about him and the countless articles seen by millions, several times placed on Drudge, his art often placed in and around the Hollywood award shows which raise eyebrows, forcing people to face tough truths. Additionally, more people are learning that artists can be also found on the Right. Sabo coined the term “Conservativism Is the New Punk“. And there is nothing more punk rock than raging against the system, powerful elites, and groupthink by demonstrating their hypocrisy through compelling and original pieces that has everyone talking. Sabo opens up about being banned on social media, ‘shadowblocking’ Conservatives, the blight of inner cities being used as ‘Democratic voter farms’. We also discuss the next generation of voters, social justice warriors on parade (and his encounters at the woman’s march). Is there still an alt-right? And his potential upcoming visit to the Oscars. Oh, and remember the Al Franken billboard? That was the result of choreographed dance with a lot of practice. Postmodernism, weak men, gender equality, the pathological left, the Cathy Newman interview and a few questions from Ricochet members — Dr. Jordan B. Peterson, a clinical psychologist, and professor at the University of Toronto joins us at Whiskey Politics to discuss his new book 12 Rules For Life, An Antidote to Chaos which is currently bumping up against the number one Amazon bestseller, so let’s put him over the top – it IS a great book. Recommended mentioned lecture: Identity politics and the Marxist Lie of White Privilege. Bill Whittle is an American conservative blogger and is one of the leading voices on the right and can be found at BillWhittle.com and follow Right Angles on YouTube. Bill Whittle will be speaking at “SAVING CALIFORNIA”, on March 17th at the Burbank Marriott along with many other political luminaries. Get your early-bird tickets here. On this episode of Whiskey Politics we chat with Dr. William Happer, Emeritus Professor of Physics at Princeton University. Dr. Happer is a Director of the CO2 Coalition and was director of the Department of Energy’s Office of Science in the George H.W. Bush administration. As one of the leading and most awarded scientists in the United States, Dr. Happer may be best known for his position on climate change as he feels the consensus is wrong. We discuss his thoughts on Trump withdrawing from the Paris Climate Deal, his relationship with Donald Trump, and his opinions on Secretary of Energy Rick Perry and EPA Administrator Scott Pruitt. We get his thoughts on pollution in emerging markets, the lack of accountability in science, why Al Gore had him fired, and why the virtue signaling of industrialized countries is shameful. Is climate change real? If so, how much is due to humans? What were his thoughts on Al Gore’s movie, and what the real levels of CO2 are today in comparison to history, not 150 years of data, but four billion years. Dr. Happer also talks about how the ‘climate models’ are garbage in and garbage out.